The stronger US dollar put pressure on Chicago grain futures overnight resulting in slight losses with markets closing either side of unchanged in a flat directionless session. 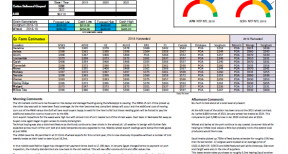 Corn futures found support as some producers reveal proof that the hot, dry weather in some locations across the US corn belt prevented the top quarter of many cobbs from setting grain. The big question is will the crops that were not hurt produce enough grain to counter these few losses. 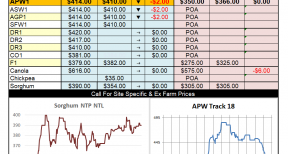 After setting a ten year low soybean futures found technical buying. Beans remain more caught up in the US / China trade debacle than most other grains at present. 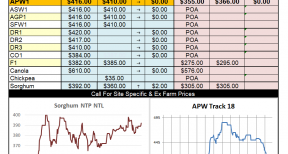 Wheat futures in the US were flat to lower in the winter wheat and generally lower for the spring wheat as conditions in the north remain close to perfect in comparison to last year’s drought affected crop. Concern for global crops in places like Australia, Russia, Europe and the UK are all attempting to put a floor in prices but with the US spring wheat crop looking fantastic and technical selling capping almost every rally increased US futures are getting harder to predict and it’s likely we may need to see the US spring wheat harvest behind them before we see the market truly reflect the issues in the global wheat market. Canola futures were stronger at both Paris and the ICE. Locally we’ve seen basis improve as futures in the US and France fell away. 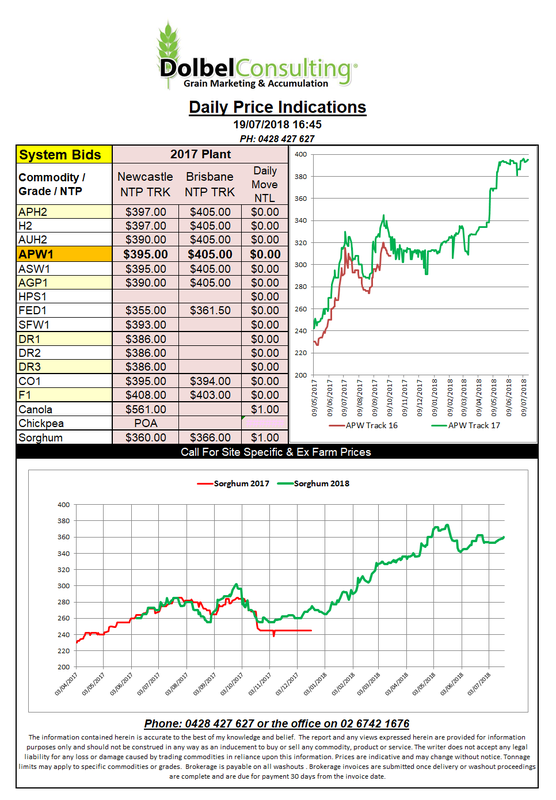 Cash bids here are still firm at $565 delivered Tamworth for old crop and roughly $595 Newcastle for new crop feed markets.